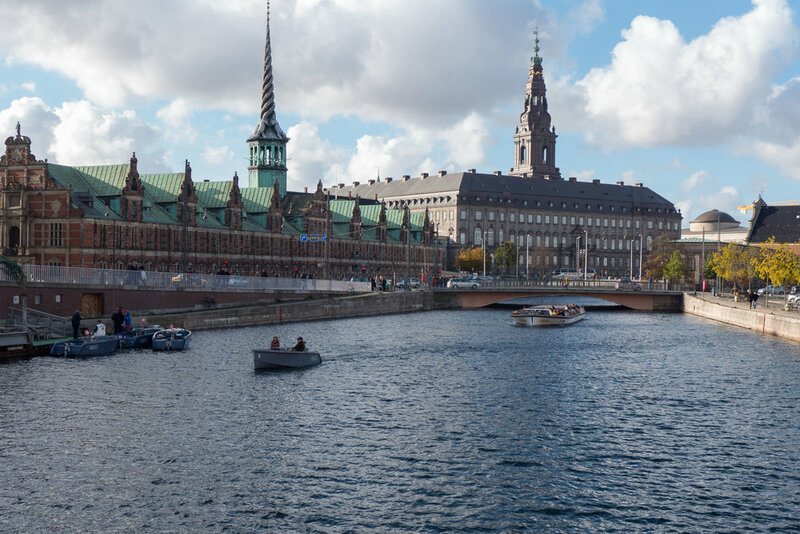 On the walk around the inner harbour, I headed down Havnepromengade, on the city side, and over the canal to cross back to Christianshavn over Knippelsbro. From the bridge over the canal you can see some of the most important historic buildings in the city including the National Bank by Arne Jacobsen, the 17th-century Børse, the naval church Holmens Kirke, major government buildings and, of course, the parliament building Christiansborg that is built over the remains of the medieval castle and incorporates the much-rebuilt royal palace. But this is also one of the oddest and perhaps least satisfactory parts of the city in terms of planning. It isn’t incompetence or lack of trying but simply that it all happened over time - a very long time - and was and still is perhaps too big a problem to sort out. Don’t get me wrong … the weird interchange of roads and railways that links the old town and the island of Södermalm in Stockholm is, though perhaps not for much longer, much much more messy and ugly but the arrangement of main roads in this central part of Copenhagen does not do these major buildings justice. The topography of this part of the city is well understood but basically much of the land around the castle and on either side, to the east and west, was claimed from the sea as was the land for Christianshavn as the channel between the old part of the city and the island of Amager was drained and built over. 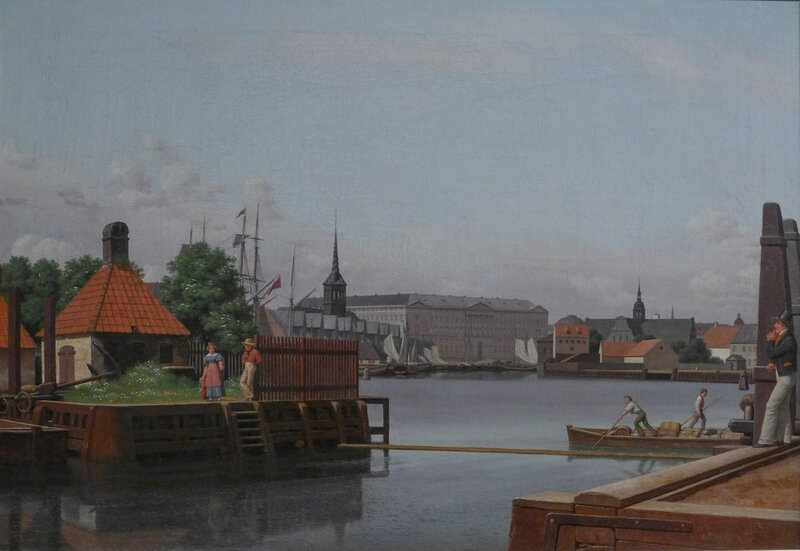 Even in the late 18th and early 19th century the water running up to the front of the castle was more like an inlet rather than a canal and the land to the east of canal was ship building yards and rope works and there were more basins and inlets on the Christianshavn side. There were lots of commercial wharves and warehouses but essentially the posher parts of the city either looked away from the harbour or looked inwards. The big changes were in the late 19th century as the commercial wharves became larger and more industrial and were extended on down the harbour. The bridge over the canal had a predecessor that was actually a rail bridge for the track along the harbour that carried goods to and from the ships moored along these quays. When the bridge over the harbour - Knipplesbro - was rebuilt in the 1930s it was made considerably wider to take two lanes of traffic each way with tram tracks down the centre for all the workers and goods travelling in and out of the city as housing, industry and the airport on Amager all developed rapidly. It was also taken up … the earlier bridges had crossed the harbour at the level of the quay … so smaller boats could pass underneath without having to raise and lower the bridge and so commercial traffic could go backwards and forwards along the quay under the bridge without disturbing the more polite traffic going in and out of the city. The bridge is actually a phenomenal design but could hardly be described as circumspect or subtle in its relationship to earlier buildings - particularly as the much higher deck meant much much longer approach ramps. Perhaps the final part of the problem, in terms of planning, is that what was the level of the railway and service roads along the quay became the route for the main road - the 02 - into and through the city so that the rail bridge was rebuilt to take two lanes of traffic in each direction and the National Bank has ended up on a traffic island. I’m not clever enough to suggest a real solution but toning down the white railings on the approach to the bridge might help and perhaps making the bridge over the canal one way for traffic heading out with wider pavements on the harbour side of the bridge to provide a pedestrian and bike route down to the National Library with traffic heading in on the 02 discouraged and what is necessary made to turn up along the south side of Børsen but that is probably just fiddling at the edges of the problem. the greatest asset of the city?